Home Business Financing Get the down Low on the Dow: How Is the Dow Jones Calculated? How Is the Dow Jones Calculated? Always wanted to know what those numbers mean when they talk about them on the news? 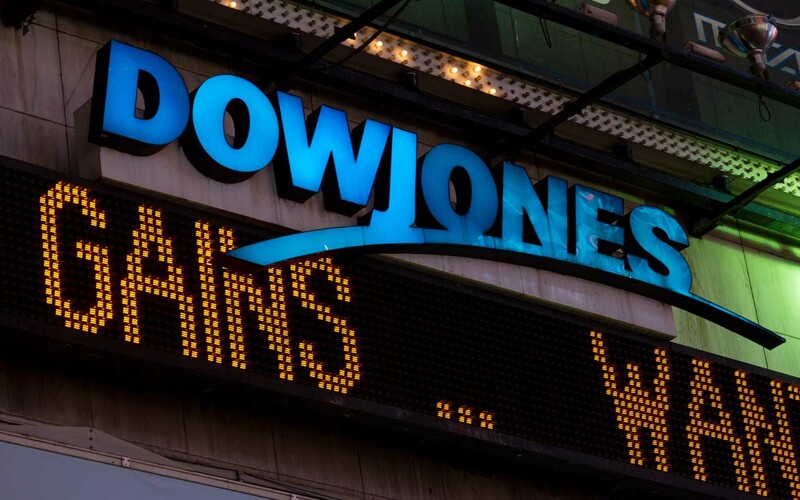 Learn how the Dow Jones is calculated in this post. The grand-daddy of the U.S. stock market, the Dow Jones Industrial Average takes center stage and always has. Most people have heard of the Dow Jones, but only a select few understand the intricacies of this investment. If you’ve been wondering ”how is the Dow Jones calculated?”, learn more about one of the oldest stock indexes in U.S. history in this blog. The Dow Jones Industrial Average (DJIA) was created back in 1896 and is the United States’ second-oldest stock index. The Dow Jones Transportation Average was born first. The Dow Jones today has come a long way from when it once represented America’s greatest industrial manufacturers. The index has diversified to represent a range of blue-chip companies that are now household names across the U.S. Originally, the DJIA began with 12 components, with General Electric remaining as one of the originals added to the index. Today, the DJIA is represented by 30 different companies, including the likes of Boeing, Goldman Sachs, Apple, Microsoft, Nike, McDonald’s, IBM and others. The Dow, quite simply, is used to measure the combined stock values of these 30 U.S. corporations. Charles Dow, the Godfather of DJIA, liked to keep things simple. In order to determine DJIA stock value, he took the price of one share of each company’s stock. He then added up the numbers and divided it by the number of companies in the index. Back in the day, the average index sat at a quaint figure of 40.94. Today, this number is substantially higher at 24,293. Today, however, things are a little more intricate and formulas have evolved to adjust for instances such as stock splits, spinoffs etc. The primary goal of the DJIA is to ensure the index remains as consistent as possible over time. This way its value can be realistically compared to its performance 5 or even 10 years ago. The consistency of this index is mathematically determined by a very specific Dow divisor – a number which is divided into the total of the stock prices. For example, if the sum of all 30 stock indexes is 2000, this would be divided by 0.14523396877348 to provide an overall stock index price. Yep, there are some companies within the DJIA that turn over more money per annum than others. So how do they account for this when determining an average index? The average index is what’s known as a price-weighted average. This means that the more expensive stocks have influence over the cheaper ones. Basically, if a more expensive share increases by 20%, you’ll receive a greater dollar increase on that share than you will on a cheaper share. This is because the DJIA index is purely based on the dollar value of its stocks. For the most part, the Dow offers a relatively simple, easy-to-understand insight of how the U.S. stock market is performing. Is the Dow Jones considered a volatile or risky index to invest in? Many industry analysts believe it is. This is generally attributed to the regular fluctuations in these companies’ stock prices over short periods of time. This being said, there is a big difference between the business risk of these companies and how volatile the index is. These blue-chip corporations are some of the most successful businesses in the world. It’s unlikely they’ll be going bankrupt anytime soon. However, investors are most likely to experience a range of short terms gains and losses when playing the Dow Jones! If you’ve been wondering ”how is the Dow Jones calculated?” for some time now, we hope this blog has helped you understand this index a little better. Looking for more financial advice, tips, and tricks? Take a gander and find all the resources you need with Internet Vibes.